For those interested in the Charmington Iris District 4 project it is unquestionable to ignore the project investor – TTC Land. TTC Land, formerly known as Sacomreal, was established in 2004 and marks the development of a series of three specialized product lines, Jamona (Complex) – with distinctive products Charmington (Townhouse) and mid-range Carillon (mid-range). After renaming to TTC Land, in addition to residential real estate projects (residential houses) as before, the company will expand its activities in new industries such as tourism, recreation and commercial real estate. , Industrial Estate – Logictis and Real Estate Services. 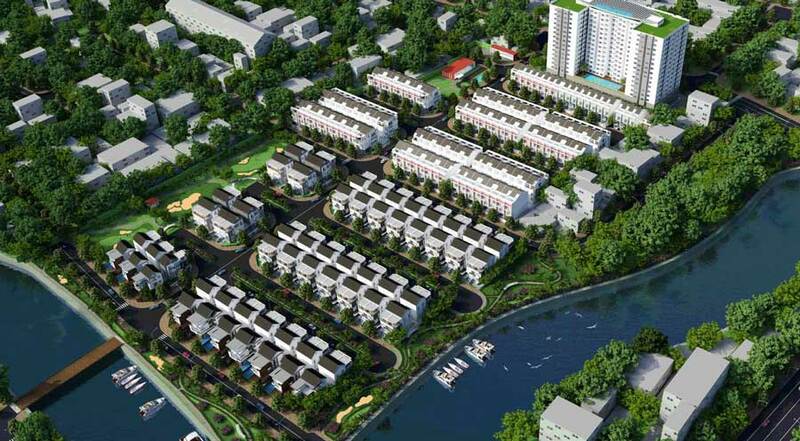 For the real estate sector, TTC Land will develop the Dam Bay (Phu Quoc) Complex. 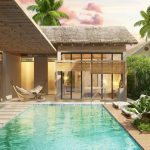 The project is 180 hectares, located on the wide natural beach, overlooking the sea, overlooking the bay, this is the second largest resort project in the south of Phu Quoc Island. 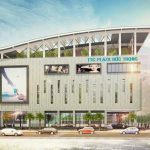 TTC Land is now putting into operation TTC Plaza Tay Ninh, TTC Plaza Duc Trong (Lam Dong), TTC Plaza, Dong) and in 2018 will deploy two more projects are TTC Plaza Da Nang and TTC Plaza Hai Phong. TTC Land owns Thanh Hoa Industrial Park (TTCIZ) in Tay Ninh province with the scale of 1020 hectares, Tan Kim Industrial Park expands in Long An over 53 hectares. The industrial zones are located in the southern key economic area, the occupancy rate of the two industrial parks has reached 60%. 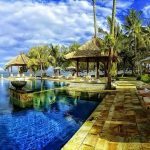 Currently, in the field of real estate services, the company has 02 units including: TTC LAND Services – Consultancy and distribution of real estate with more than 250 professional consultants and TTC LAND Management – management unit , exploit the real estate and TTC LAND Consultant for more information. 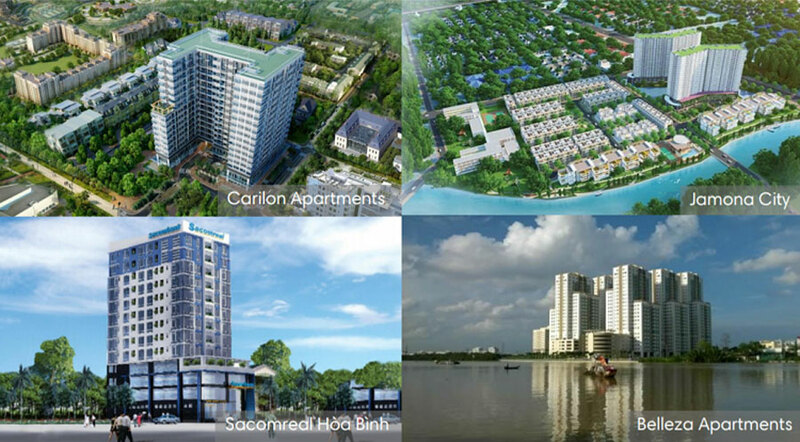 From initial projects such as Belleza Apartment (District 7), Carillon Apartment (Tan Binh), Jamona Home Resort (Thu Duc), TTC Land constantly develops many other projects. 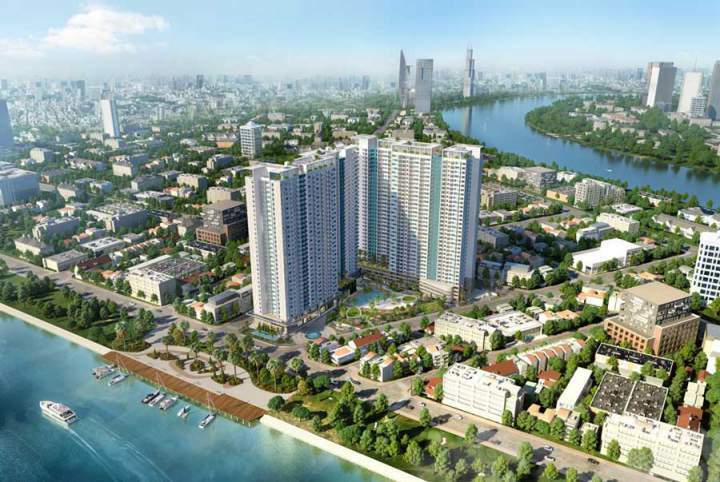 So far, TTC Land’s project portfolio in Ho Chi Minh City and surrounding areas has surpassed 30. Twa Land’s Jamona Golden Silk villa is located near Bui Van Ba ​​- Huynh Tan Phat intersection, 10 minutes from Phu My Hung urban area and 20 minutes from Ben Thanh market. The project covers over 7.6 hectares. The total number of villas and townhouses is 226 units. At present, the project has completed four consecutive houses and is handed over to customers. The Chiffon Villa twin villas, Cashmere Mansion single-family villas are under construction on schedule with customers. Jamona Golden Silk green patches are arranged throughout the project such as “green lungs” to create a friendly and cool feeling for residents. The project owns three large, small parks and a riverside promenade. Most of the residents who have moved to Jamona Golden Silk live highly appreciate the quality of housing as well as the outstanding facilities that the project brings. Jamona Heights Project is a high rise project located on the Jamona Golden Silk Project in District 7. Jamona Heights has a total area of ​​5,700sqm, with a construction density of 40%, including two 17-storey towers and a basement. 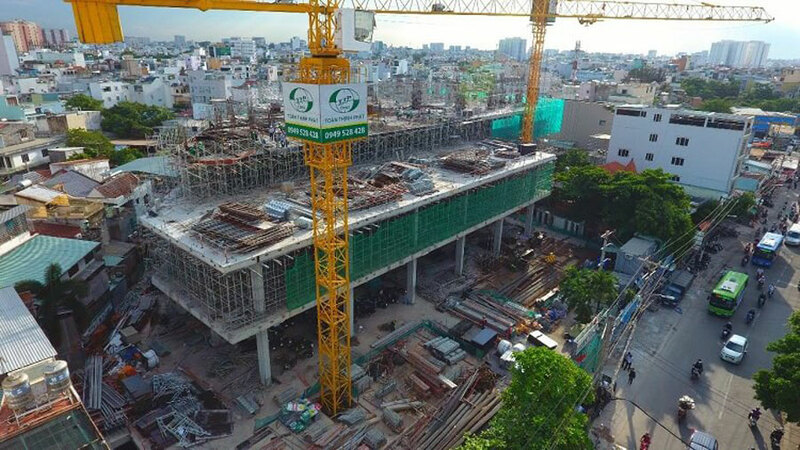 At present, the project is being constructed by Toan Thinh Phat contractor, which is expected to be completed in mid-2018. 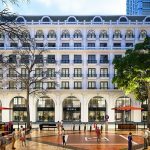 It is the first commercial center project in Ho Chi Minh City developed by TTC Land, TTC Plaza Binh Thanh (26, Ung Van Khiem, Ward 25, Binh Thanh District) with an area of ​​5,570 sqm. TTC Plaza Binh Thanh with modern design with 9 floors – 1 basement, fully integrated modern facilities for trade centers and offices. According to the investor, TTC Plaza will be put into operation in November 2018. 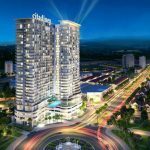 You are reading the article Information about the Charmington Iris’s investor District 4 project in the Real Estate category at https://realestatevietnam.com.vn/.Any information sharing, feedback please email to info@realestatevietnam.com.vn, Hotline 0909890897 (24/7).